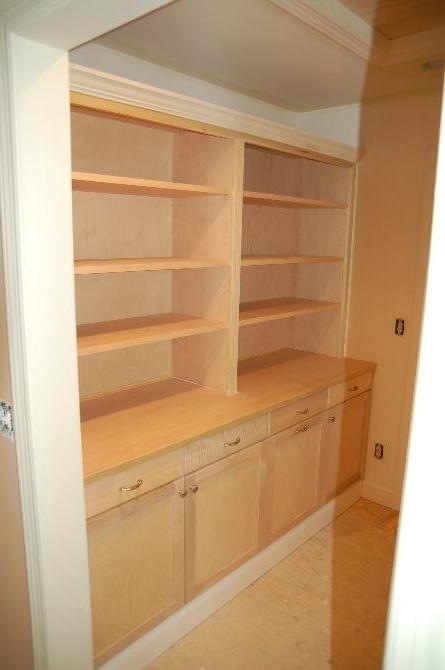 Mudroom cabinetry, bench and storage, painted white. 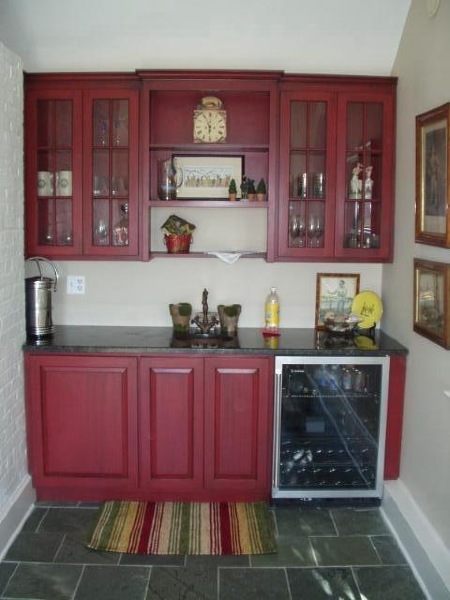 Red painted bar with black glazed finish. Custom maple stained bar, built into modified closet area. 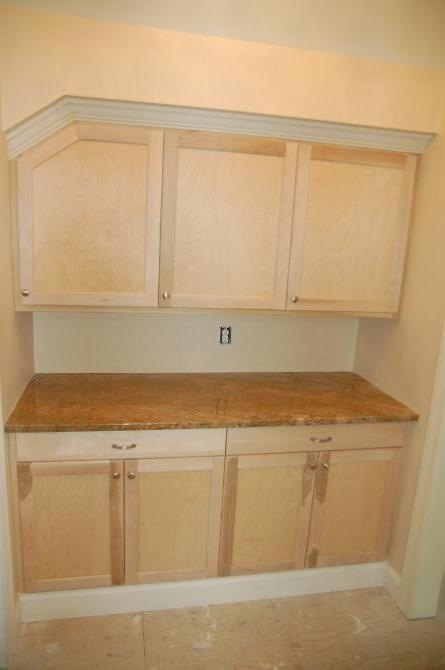 Storage cabinet inside bar area. Dressing area in walk in closet. Paint grade.